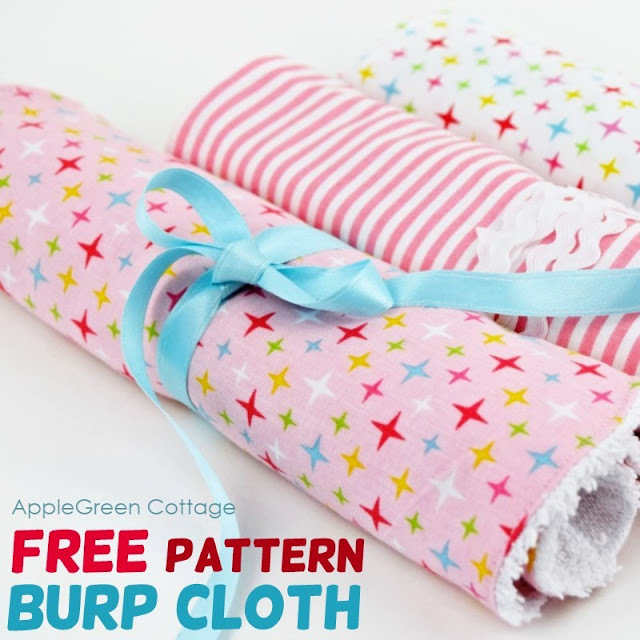 Free Burp Cloth Pattern - So cute! Sew a few adorable and practical burp cloths using this burp cloth pattern - it's free for all my subscribers, and an easy and quick sew! Grab the free sewing pattern, follow the tutorial below and sew a bunch of them for all the babies in your life! This post contains affiliate links. Thanks for your support. The pattern is available for free to all my newsletter subscribers! (new subscribers can join here, existing subscribers: enter Freebie Library here with your password from my latest newsletter) Read on to find out more. CURRENT SUBSCRIBERS: If you already have the 100% DISCOUNT CODE (see my latest newsletter!!) - visit the SHOP (here) and apply it on checkout. 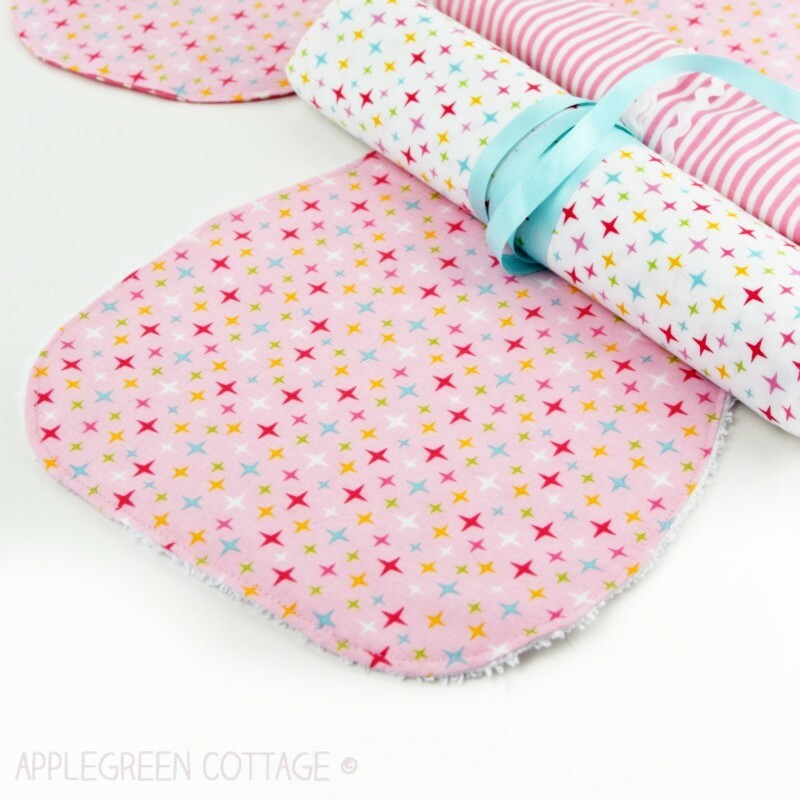 With a new baby in the family, you can never have too many burp cloths! 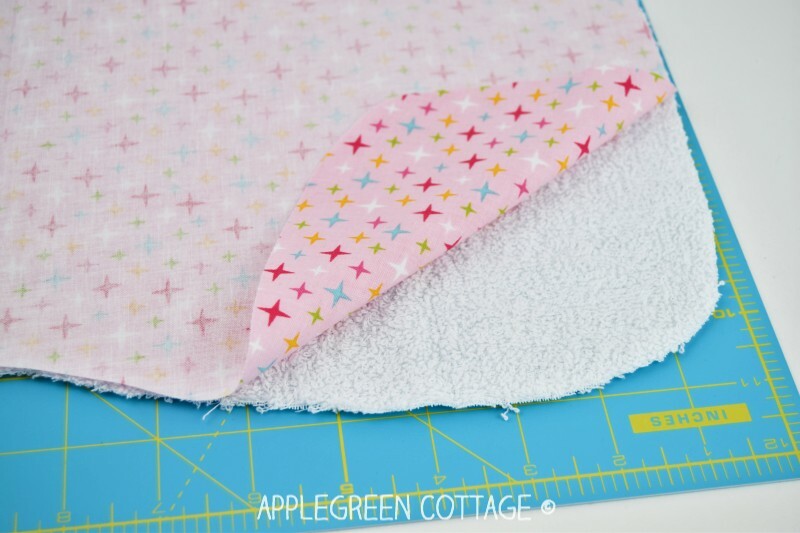 These are an easy and quick beginner sewing project, especially with a free printable template like this one - use it and make a set of burp cloths as a perfect baby welcoming gift! Mix and match cute baby fabric prints, or even use your scraps. I might need to do just that for the next batch of burp cloths, my scrap fabric bin is getting full. And this is one of the best projects for patchwork. 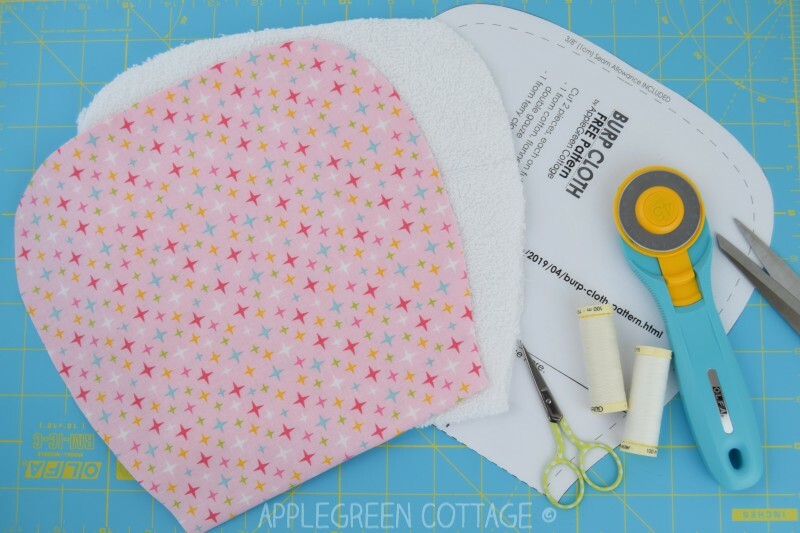 A set of these adorable and practical burp cloths and bibs for the baby, and an Ultimate Diaper Clutch for the mom (pattern here) will make the perfect handmade gift every new mom would love to have. A note on the materials used: as the bottom layer, I recommended terry cloth because it's very absorbent. Check out towels department in your shop and you might get better off getting those than purchasing fabric by the yard. (just sayin') Other options: chenille, jersey, flannel, even minky! Anything absorbent. 1) Print the free PDF template (see below). 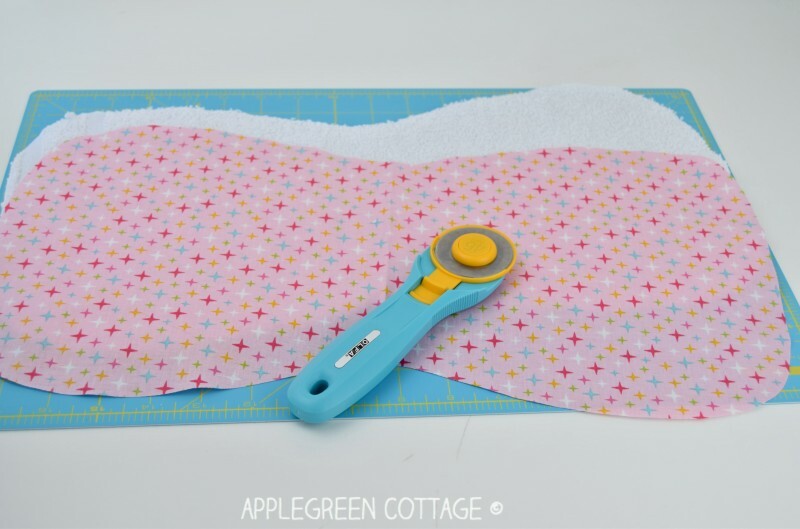 3) Then use the template to cut 2 pieces, one from cotton, flannel or double gauze, and the other one from terry cloth for maximum absorbance. 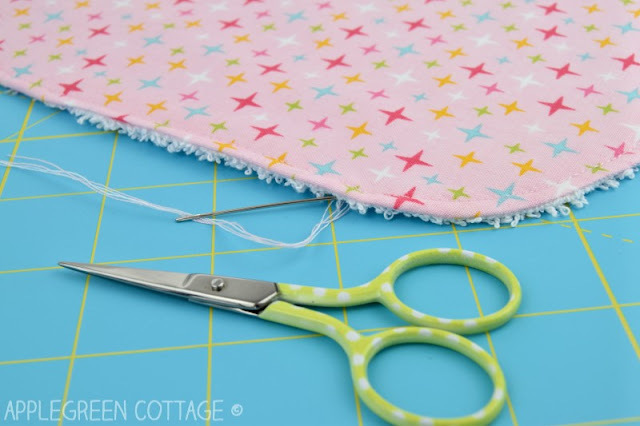 Make sure to cut on fold, as marked on the pattern: first fold the fabric in half, then line up the edge of the pattern where it says 'Place-on Fold' on the fabric fold, then cut. 4) Place the terry cloth on a flat surface, then the other piece, cotton fabric facing down (So the pieces will be right sides together). 5)Stitch around using a 3/8" or 1 cm seam allowance. 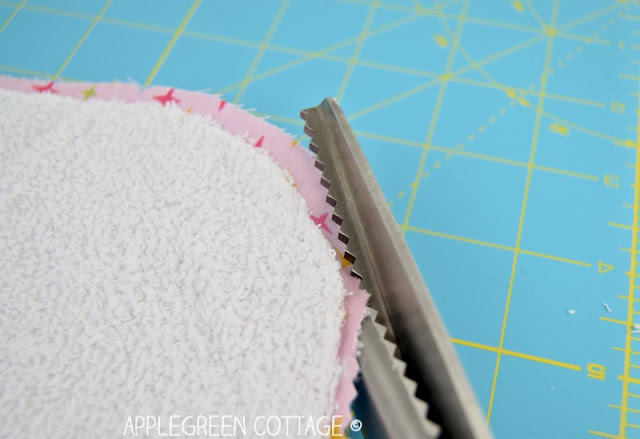 Make sure to leave a 3" (7cm) gap at the bottom, for turning. See the gap on the right side of the image? 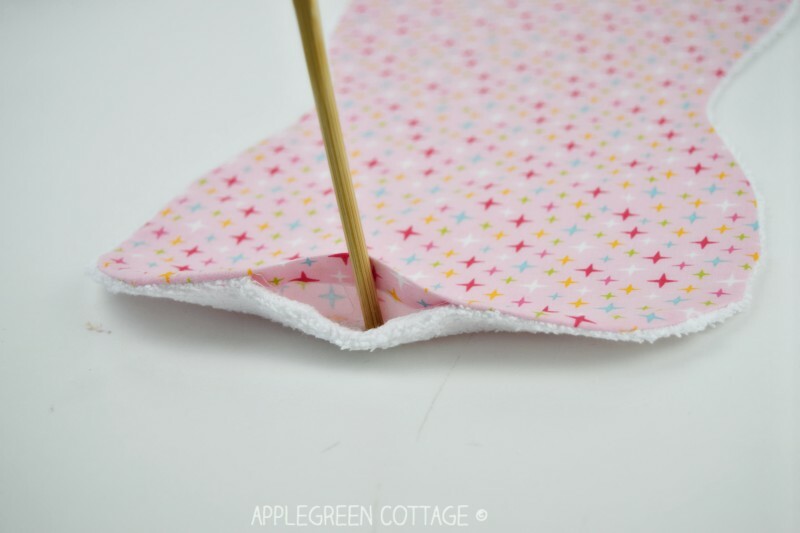 Go slowly and use a short stitch length, it will make sewing curves a breeze. 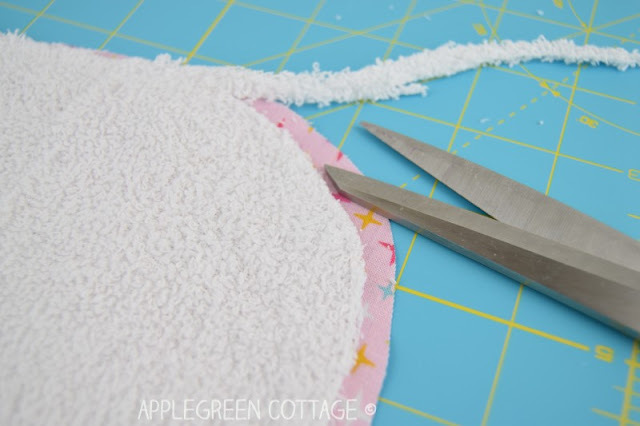 6) Trim down the terry cloth layer to something like 1/4" (0.7cm) to reduce bulk. Do not go less than 1/8" (3mm) to retain seam stability. Also, do not trim down the seam allowance of the 3" part that has not yet been sewn. 7) Then trim the seam allowance on the fabric, using pinking shears (or your regular scissors), taking care not to snip into any stitches. Again, do not trim down the seam allowance of the 3" part that has not yet been sewn. 6) Turn right side out, using a point turner or a non-sharp object like a chopstick or a knitting needle. 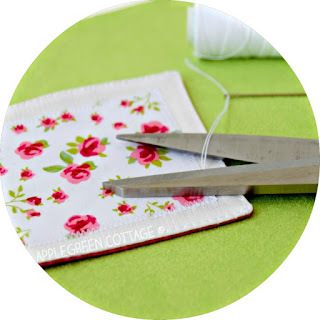 How To End Stitching The NEAT Way! 7) Press well, especially the opening. Topstitch around the burp cloth, also closing the gap. Done! I hope this makes it super easy for you to sew a load of burp cloths, either for your own or your friends' babies. Enjoy! Also, make sure to get a coordinating free bandana bib pattern (here), a free baby sized earwarmer headband (here). 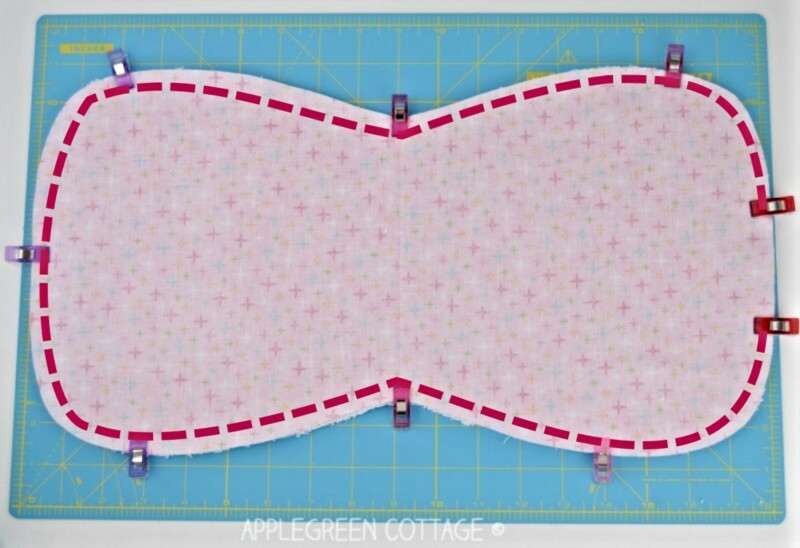 How Do I Get the PATTERN for FREE? 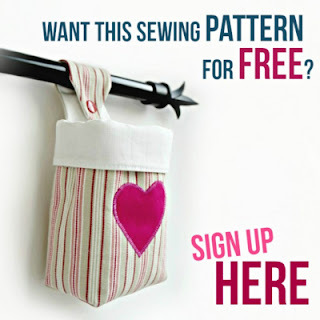 Sign up for the free newsletter and get this pattern for FREE here - and tons of other goodies! 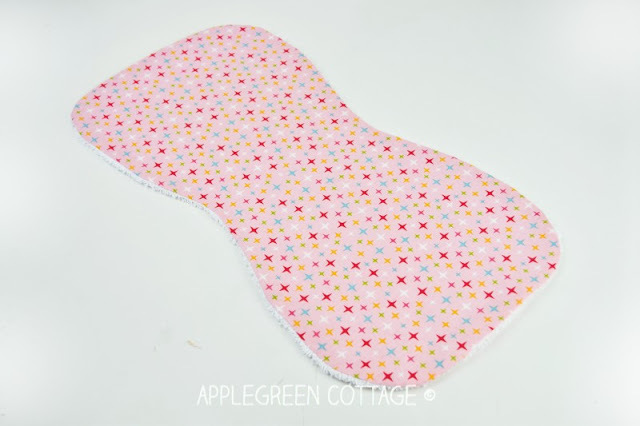 For anyone who'd prefer not to subscribe for the newsletter, you can still purchase the Burp Cloth Pattern at this link in my shop. 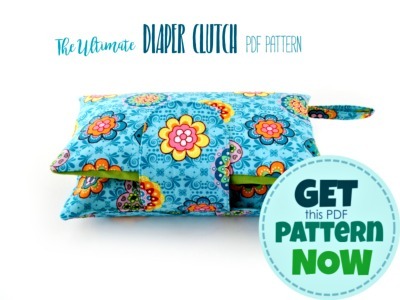 Or check out this popular pattern: Ultimate Diaper Clutch - a perfect baby welcoming gift every new mom would love to get!